Get up to date with some of the most recent news on bitcoin scams and other cryptocurrencies. Let’s take stock of this new type of “currencies” and the associated risks. Since the universe of crypto- assets is not regulated by the usual institutions (central banks, financial market authorities, etc. ), it is difficult to obtain accurate information on the number of frauds. This lack of regulation attracts individuals critical of the current monetary system and advocates of a libertarian vision of the economy, but it also increases the risks. Scammers usually offer quick and substantial profits to investors and know how to be insistent. Cases of theft of identities are also examined, for example, intermediate impersonating an existing law firm to make customers feel confident before ripping them off. 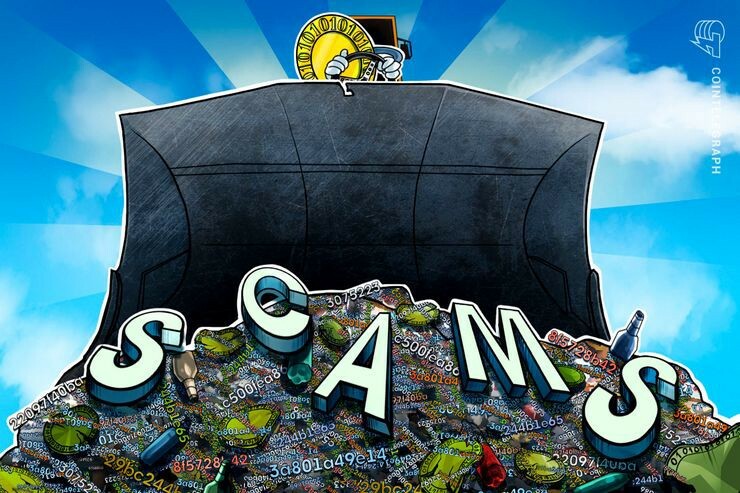 According to the US economist Nouriel Roubini, four out of five initial offers of tokens are scams from the start. It also states that companies operating in this sector are generally based in countries with little transparency such as Russia, China or Georgia. The Financial Markets Authority warns savers against crypto-asset scams: 700 individuals have stolen more than 31 million euros since the beginning of the year! Caution is more than ever appropriate for anyone who wants to enter the cryptocurrency market! After having exceeded the $ 19,000 threshold at the end of 2017, bitcoin is no longer worthy, at the beginning of October 2018, only about $ 6,500. Other cryptocurrencies such as the Ethereum experienced a similar fall. The term cryptocurrency is generally used to define “virtual currencies” based on blockchain technology. However, it would be more rigorous to speak of cryptocurrency because the bitcoin or the Ethereum do not fulfill all the characteristics defining a currency traditionally. The dip of the course of bitcoin is not necessarily a surprise. 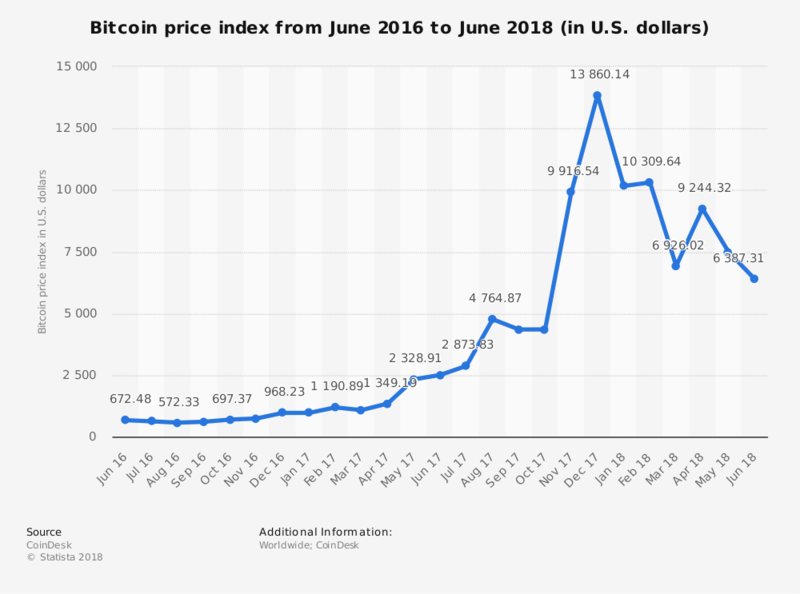 Many economists, such as the “Nobel Prize” winner Jean Tirole, Joseph Stiglitz or Paul Krugman had expressed doubts about the usefulness of bitcoin and had regularly alerted about the risk of speculative bubbles surrounding the universe of crypto-active. Indeed, according to Paul Krugman, bitcoin brings nothing to the current monetary system and is, in fact, a return to 300 years back under cover of new technology. Finally, frauds surrounding crypto-assets have led many individuals to turn away, reinforcing the decline in prices. 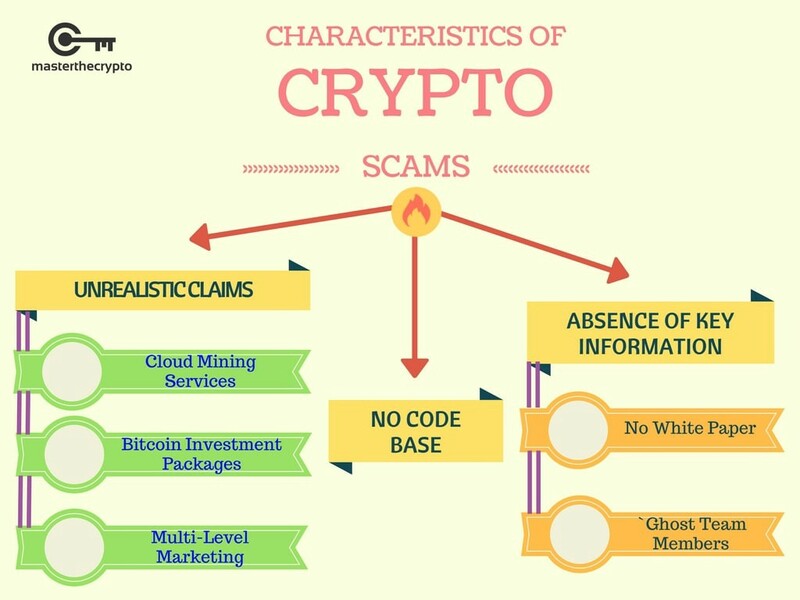 While cryptocurrency scams are multiplying, discover the main frauds to know and the remedies available to you if you have been a victim. Also, find our advice to avoid them. As cryptocurrencies gain popularity and Blockchain technology grows, online transactions of virtual currencies are becoming faster and faster. With increasing technology comes huge risk, crooks do not lack the imagination to trap investors with no experience in the field. Currently, cryptocurrency scams continue to multiply on the web despite the vigilance of users. The most famous of these scams is the Ponzi Pyramid. This technique, used in particular by Bernard Madoff, is to reward the investment of the customer’s thanks to the funds brought by the new entrants. The best example is OneCoin created in 2015. The creators of this virtual currency have asked interested users to exchange money for OneCoins. Some of this money paid for the amounts the other victims were expecting to receive after they also bought the investment. Problem: This cryptocurrency is not redeemable on any other platform. Another popular scam: the fake cryptocurrency trading platforms. In this case, users trust a site or digital wallet to place their Bitcoins or other cryptocurrencies. A few days later, the site is no longer accessible, and investors permanently lose their funds. In 2017, a scam using the Wallet Bitcoin Gold has lost the equivalent of three million dollars to users. Online mining is also a new form of scam. As a reminder, the Bitcoin network is secure thanks to verifications of transactions operated by minors who use machines with high computing power. 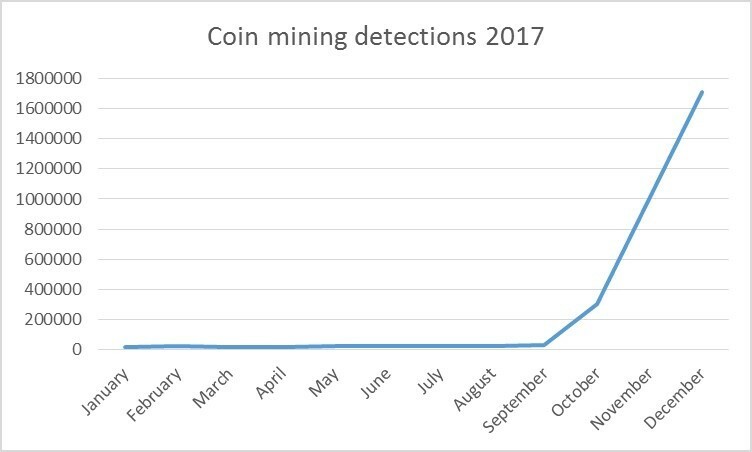 The minting of cryptocurrencies without the knowledge of the Net surfers or crypto jacking jumped by 8,500% at the end of 2017, according to a report of Symantec. Banks have a duty of care that covers both the origin and destination of funds. This is valid for all their customers, individuals, and professionals. Indeed, Article L561–10–2 of the Monetary and Financial Code provides that bank employees “carry out a reinforced examination of any operation that is particularly complex or of an unusually high amount or that does not appear to have any economic justification or to lawful object.” They must theoretically challenge the individual on the possibly illegal, fraudulent or precarious nature of its transaction. However, it is often difficult to invoke the responsibility of banks to recover their money. In the context of ICOs or Initial Coin Offering, for example, which appear to be a great way to finance innovation, investors should be well advised to study the project upstream. Indeed, it often happens that the creators do not give any more news and leave with the funds of the investors. The latter will then have no recourse. More generally, victims of a cryptocurrency scam can complain by completing an online form or by going to the police or gendarmerie station of their choice. They can also contact the DGCCRF or Info Scams. Finally, victims of scams can also contact the Financial Markets Authority (FMA) and report the fraudulent platform. It may then decide whether or not to open an investigation. However, the FMA does not compensate the injured investors in the event of financial penalties. Most investors do not recover their starting bet. These tips can help investors avoid growing scams in the world of cryptocurrencies. The FMA regularly publishes a list of blacklist websites and entities offering investments in various assets such as cryptocurrencies. Remember to check that the site that gives you to invest in cryptocurrencies is on the list of authorized providers. The investment in cryptocurrencies is aimed at experienced users, with a minimum of technical and financial appetite necessary to understand the protocol and the risks associated with it. 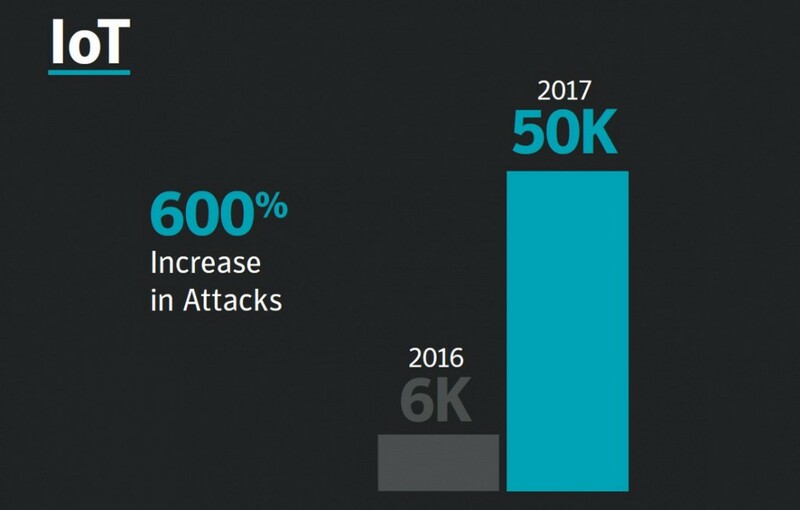 Added to this are other threats: loss of all or part of the invested capital, lack of regulation, lack of detailed information, fraud or fraud. Several online brokers offer users to bet on digital assets such as Bitcoin in the form of contract for difference (CFD) to avoid the technological complexity of buying online. This situation requires, in fact, a double vigilance: the proof of the approval of the broker CFD on the one hand, the understanding of the operation of the CFD on the other side. Beware of the leverage effects of the CFD which can be even more risky with an asset as volatile as Bitcoin. The authorities are currently working on the Blockchain to avoid losing control but also to protect savers. This framework should logically further deter crooks from attacking the cryptocurrency markets. Bitconnect.com which represents a capitalization of nearly € 1.6 billion is based on a principle you can invest your BitConnect in the Bitconnect loan platform (completely centralized very strange when the advantage of blockchain and decentralize). You will then receive a daily profit based on your investment options more or less along with rates of 0.10 to 0.25% per day or 40% per month. Bitconnect justifies such returns by the ability to use bot trading on bitcoin volatility. It reminds me of the beautiful story of Madoff who also explained these rates of return by a super trading robot on NASDAQ. In addition to new customers, Bitconnect can pay its profits thanks to the creation of the corner which remains very opaque. It’s a decent Ponzi scheme to stay away. Dascoin multi-level marketing (MLM) company, targeting new investors in cryptocurrency. Its working and operation style is quite similar to OneCoin pyramid scheme. This reminds me scam runs on MLM Model CoinX trading scam, in my country India. Gardesh Ramesh, the Founder, was arrested later for fraud. Plexcoin the offer points to a new Ethereum-based token that would offer “related services (PlexWallet, PlexCard, and PlexBank) developed to revolutionize the use of cryptocurrency and make it accessible to all” Nevertheless, there are many indications that ‘is a’ scam. The unverifiable and false steps regarding the proposed VISA PlexCard (Visa card). The lack of transparency of the PlexCoin website. The lack of clarity on the composition of the team offering the project. Unknown office address. Registered domain name behind an anonymous proxy The Quebec Financial Markets Authority calls for the utmost vigilance and has requested the closure of all sites associated with the Plexcoin activity. Onecoin is probably the best known of all these scam schemes. How does the scam work? Onecoin is a token based on a Ponzi scheme that runs on a private block managed by Onecoin Ltd. based in Gibraltar. His company has stolen more than $ 50 million in a year of illicit sales that have occurred thanks to an active Facebook marketing strategy. Italy has condemned this currency to a hefty fine by ordering it to cease all promotional activity. After a burst of momentum in its infancy, OneCoin, whose CEO has just left the ship, must now face the consequences. Thus, Italy became the first country to take a tight position against the company by imposing a fine of 2.5 million euros. S-Coin (Coinspace) is prominently featured in our list of cryptocurrency scams. The company sells wind and wants to deliver its token by Email just laughable. Earthcoin This cryptocurrency is more than legitimate in our list of scams even though it is listed on Coinmarketcap. Through a search on this site, we can read that Earthcoin’s market cap is about $ 935,000 and has an available supply of 9,346,468,332 EAC, but that does not sound too convincing. The pieces are pre-mined and even unstable, suggesting an unscrupulous developer. LCF coin the next cryptocurrency on our scam list is LCF. LCF Coins makes talk about it in China. Currently, LCF Coins is in the pre-implementation phase but without any site or social network. Conversely, they are walking through Google forms. This looks like a gross scam, indicating that Rothschild & Co would be an early investor. Rothschild & Co has warned of the deception. Centurion Coin has also entered our top 10. Thanks to an Italian site called Truffacoin, we can see that the piece Centurion is a Ponzi scheme. You have a team member name, but the real identity of the people who control this MLM scheme is secure behind a Dubai company. Also, according to their block explorer — there are currently 50 000 086 400 CNT coins that were pre-mined in the first block in December. It only seems suspicious. Beware of These Cryptocurrency Scams was originally published in Hacker Noon on Medium, where people are continuing the conversation by highlighting and responding to this story.